First things first: if you don’t have a popular blog, don’t bother to approach advertisers. Don’t let this blunt statement get you down. We are actually trying to help. Unless you have at least a thousand page views a day and a reasonable number of social network connections along with a good Alexa rank and Google Page Rank, you don’t really qualify for the number of potential clicks that an average advertiser expects. So work on that before anything else if you are thinking about monetizing your blog in this manner. This will give you a target to fulfill which should actually make things simpler for you in case you were too lazy to do anything about anything so far. Now let’s talk about the time when you have managed to fulfill your target. 1. Traffic: How Important is It? You may have a huge number of regular visitors and an equally large number of page views, but advertisers are interested in only those who are likely to click on their ads. We may call this conversion – of your visitors to ad clickers. In other words, just as a business blog benefits from targeted visitors to make sales, so do sponsors like to have targeted traffic to click on their ads. If they were to choose your blog based only upon the number of your visitors, there would be no guarantee that even a single person among them would be interested in their ads. Therefore, looking at your traffic stats is only the beginning of how advertisers are going to assess you. Normally, having too low a volume of traffic does not help since the rate of conversion is also likely to be too low in that case. The exception might be a niche blog with low but regular traffic with a very distinct interest in what advertisers are going to offer. Question is: how do advertisers take the next step – how do they know if your audience, irrespective of its volume, will be interested in their products? 2. So What is the Determining Factor? Social networks will make or break you in most cases where you are approaching discerning advertisers. Statistics of your traffic are only numbers. They don’t show actual visitors or their inclinations. Your social circles do. Any advertiser serious about placing their ads on your blog will want to check out if your followers and friends are talking about anything that shows their interest in the products or services the ads will display. Therefore, even more than any rank or traffic, it is the human face of your social connections that will determine whether you are good or not. Remember that advertisers will also consider sponsored tweets. If you have a following that shows a distinct interest in relevant areas and if your own tweets regarding such areas get regular retweets, you do stand to make a good impression. Another point to consider is how flexible you are, what kind of ad space or ad type (text, text and image, only image, animated image or static image and so on) you are offering and at what price (do you offer a discount for longer periods of advertising?). However, such things will come only after you are considered lucrative enough an option to spend money on. 3. What is the ‘Successful Approach’? There are two parts to this: you have to have a bio-data or portfolio of sorts for your prospective advertisers to see and, this is most important, you have to let them find you. For the second one, you may literally need to approach them. Let’s take this one point at a time. Have a separate page on your blog that is linked by the ‘Advertise Here’ text (or image) on the other pages. You can call this anything you like. One blogger likes to call his a ‘Media Kit’. Display your stats clearly and update them regularly. They should include things like your rank, the current month’s traffic, number of pageviews, bounce rate, and average time on site. You can also post screenshots from your Google Analytics account or Blog Dashboard as proof (but you must keep updating those). The next section should have your social media data – followers, friends, number of likes and Google + received for entire blog or particular topics (read, pages where ads could be placed) and whatever else you can think of. Link to your Google + profile and Facebook Page, obviously. Additionally, and we shall refer briefly to this aspect shortly, if you are connected to other blogs and if you blog for them at least occasionally, definitely mention that as well. Mention if you are part of a network that is relevant to your niche or where you get to know a lot of people with mixed interests. TV appearances, if any, must also figure here. The previous section is for when advertisers find you or when you get them to take interest in you. The literal approach means you take the trouble to find them out, whether online or offline. This is where your blogger and other network and group connections prove useful. The blogging community (as also most forums) is a collection of likeminded people with various interests willing to help each other. If you can connect successfully, you may get helpful hints, direct references, even invitations to conferences or seminars. Many of these will have potential advertisers attending. We don’t suggest you bug them with advertising pleas when they are trying to pay attention to the main event, but it wouldn’t hurt to mingle and make connections. Carrying your portfolio might show as a sign of desperation, but exchanging visiting cards for future engagement is a very good idea. What we are trying to get at is advertisers will not inevitably fall on your lap (although sometimes they do, if you have a really popular site that also offers advertisement space) – you should make an effort to look for them, and you can do this by growing your connections. Another important way of getting to advertisers is to research your niche and products and services related to it. Find actual companies and approach them via a carefully written email that carries the bio data and your most relevant links. Find out also about the current market rates of advertisement. If you charge too little you lose out and if you charge too much, well, you lose out too! There is no rule that says you cannot charge pennies when you are just beginning with this strategy, but we feel you will make a better choice if you can create a really strong portfolio first and then begin with standard rates. This benefits you in every way since the portfolio is a must which stays with you to bring in more valuable clients. Also, advertisers or clients willing to pay big bucks are, to our experience, the ones with a less fussy attitude than the ones who are looking for the lowest rates. The more you show yourself as an expert the better your chances are. Show off your SEO skills, mention the keywords you are ranking for and for how long – these show your potential for a long term ad-placement blog. Also, if you have installed something like the Heat Map Tool that maps out where your maximum clicks are occurring, show screenshots and obviously, offer some of those areas for ad space. And finally, there’s one thing that you should be doing anyway, and that is, branding yourself. Everyone likes a brand, and advertisers are no exception. Include this bit into what we mentioned in the intro to this article and you will be good for not just luring in advertisers and sponsors but for pretty much every method of monetizing your blog successfully. Jason Smith is an online manager for Mr. Rooter - Plumbing Leak Specialist. 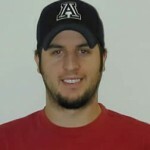 He likes blogging about online strategies that are related to SEO, Content, PPC & Lead generation.